I want to tell you a story about freekeh. 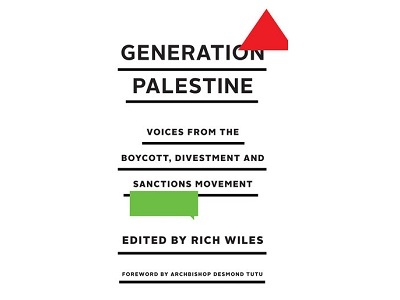 It’s a story that links the past and the present both for me and for the Palestinian people. The aroma of freekeh is embedded in our memories like a song in our hearts. Freekeh also pronounced “free-cheh” by peasants who harvest it; and urban Palestinians pronounce it “freekeh”, while a Palestinian in Gaza pronounces it “freekah”. The story of freekeh symbolizes a wider Palestinian cause and struggle, since it tells about what has come to be known as “food appropriation.” “Food appropriation” is the process by which Israelis have imitated Palestinian culinary culture, re-branding traditional Palestinian dishes as Israeli ‘new foods’ without giving any recognition to their origins. In treating freekeh as their own, Israelis have taken it over so to speak, and now some people even think that freekeh is an Israeli food, but this is not the case. The contemporary history of Palestinians turns on a key date – 1948. That year a country and its people disappeared from maps and dictionaries. In 1948, on what is now known as Nakba Day, Israelis expelled 800,000 Palestinians from their homes, leading to the existence today of over seven million Palestinian refugees. Our land, like freekeh, was re-branded and marketed as Israeli, but I assure you that Palestinians had been living in the land and preparing the dish long before the state of Israel was born! Freekeh, the name derived from Arabic verb faraka’ which means to rub, was harvested from durum, or young wheat, typically in early Spring when the grain is still immature and green in color. An extremely old grain, it was originally indigenous to Syria, Jordon, Lebanon, Palestine, and Egypt. For centuries freekeh has been a staple Palestinian foodstuff, though freekeh is now popular all over the world including in North America. The resurgence of freekeh has been aided by its unique chewy, nutty texture, the fact that compared to several other grains, it is much more nutritious, and its showcasing in exclusive restaurants all over the world. Harvested before its protein develops it is a relatively gluten free, low GI (Glycemic Index) foundation, for many soups, stews and vegetable dishes and has a low protein value. Freekeh has more fiber than brown rice and in comparison to most other grains, is richer in minerals, and vitamins, increasing its popularity in an increasingly health conscious world. It also has a rich golden hue, which develops as a result of farmers drying it in the sun, before roasting it in an open fire to destroy straw and chaff. 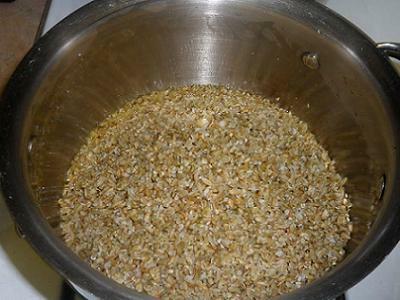 Nevertheless, freekeh, this beautiful and nutritious foodstuff, must remain controversial in our society as it continues to exist as a symbol of Palestinian displacement and their cultural obliteration in their homeland and all over the world. Allow me now to tell the story of my own cultural roots, a story which is redolent of the symbolic struggle of ancient freekeh and its right not to die out, be erased or buried within an artificial, politicized narrative. In explaining the story of freekeh I hold true to my quest to reclaim and validate Palestinian history. I want to tell the true and ancient story of freekeh, from the Palestinian perspective: an ancient narrative that does not deserve to die out just because Zionist culture seems to be absorbing it, and making it ‘their own’, devoid of its real history and Palestinian heritage. Mine is a story of constant struggle to give recognition and a voice to a downtrodden, but proud Palestinian people. Spurred on by a quest for justice, and a desire never to forget past wrongs that still need to be righted, I feel compelled to relay the story of Palestine, and in every way I can to maintain our precious Palestinian language, culture and traditions, to tell the story of our exile and struggle with dominant Zionist ideology, and to correct the biased portrayal of Palestine in the Western media and in the Western World as we, a displaced but united Palestinian people, continue to struggle in exile much the same as our sisters and brothers at home struggle, for our right to be Palestinian Arabs, in our own country. Now, as I am living in Canada, the ancient story of freekeh is a constant, comforting reminder of my cultural identity, and something that keeps me and my family bound to Palestine although much land, sea, history and political division imposes a painful physical separation on us. It brings me back to the scene of my grandfather Salim’s house, described to me by my grandmother – a time when food: its preparation and harvest united Palestinian communities and served as a thread, connecting people together and drawing them ever closer in times of hardship. My grandfather’s Salim’s house in Palestine was a romantic stone dome, with a single room house that had a rawyeh, two floors. The lower rawyeh, a rock cave, served as a stable where horses, cows and donkeys were put for the night. The upper rawyeh, was cut into two parts; a living/sleeping room and food storage. There were silos of storage for grains, cereals and dried fruits. Behind the silos, was the storage space that took a quarter of the room space. The living and sleeping area rarely exceeded 1000 square feet. At night, the mattresses were laid out on the floor. In the morning, the floor was cleared of mattresses, pillows and duvets; they were folded and stacked in al-rakzeh a specially built niche in the wall. Many family members shared the same duvet to sleep under, as they were desperately poor and owning a duvet was beyond the means of a simple fellah family. They worked hard in their fields, they slept early, woke up early, and they slept quickly. Salim planted the land, instinctively knew each crop, each storm, the smell of the air and color of the leaves. Hardship created close community bonds, and during the harvest days, families helped each other and worked till the last person finished his field. Families crammed the orchards picking and gathering olives and pomegranates in the Fall. Survival was easy because they planted their own food and made many essentials for living from olive oil. Vital to the soul, and machinery of this hard life, olive trees were treated with reverence and like they were part of the soul of the land. The olive tree is sacred to the Palestinian culture, a symbol of the land and its people’s struggle; holding special status in holy books. Food has always been something that brought ancient Palestinian communities together, uniting them as they fought poverty and hardship by toiling in the heartlands of Palestine. Today, freekeh takes on a lot of this ancient symbolism and this is one of the reasons why it deserves to be remembered for its true history, as part of the heartland, blood and soul of the Palestinian people. As I gaze out of my living room window, dense fog has settled upon the port of St. John’s in Newfoundland and I can barely see a magnificent silhouette creeping slowly and silently through the water and gradually finding the formation of a majestic cruise ship. I strain my eyes to see from which country this exquisite liner has arrived and I smile widely as the misty scene before me takes shape, for I am now a Canadian, a truly proud, educated and hard working Canadian. I have found true freedom in Canada. The decision to spend the rest of my days living as a Canadian, absorbing the lively culture, enjoying the delectable seafood and basking in the warm hospitality was an easy one for me to make. Standing here now, continuing to peer through the fog and eager to watch the ship’s progress, I realize that I too, have finally arrived at the end of my long and arduous journey to a place of peace. As a child I remember dreaming about whether such a life existed. For many years I believed that if I only persevered and kept faith and hope alive, a truly wonderful place would await me and it has. I have finally reached my destination, against all the odds and many obstacles; just as the cruise ship down below has no doubt, done many, many times before. My story is sad though, and, like my proud history, my citizenship has been born out of deeply personal struggles. Then again maybe that’s why it means so much to me. Hardly a month of my life goes by now without a Palestinian event being held in my adopted Canadian homeland, harking back to the Palestinian struggle and the Palestinian battle to remain part of society, without being erased or subsumed within Zionist culture. These lively community events are hugely important to me for many reasons, not least because they bring indigenous Palestinian and Arab music, art, plays, and dance groups to local and national attention. It is a Palestinian victory of sorts that more and more of these events have been well reviewed by the mainstream media and well received by the public, and in being disseminated in this way, they keep the flames of Palestinian heritage alive and in the public eye where it deserves to be. I was expelled from Palestine due to the Euro/US imperial imposition of the State of Israel, creating an anti-Arab, anti-Muslim settler state in the Arab world, and was born in Ahmadi, Kuwait. My earliest remembrance of how my father and mother took the predicament of their newly acquired status was made through listening to their conversation in the early hours of the morning, when they were drinking their first cup of coffee on their verandah in Ahmadi. My parents were never politically involved; they were more focused on the establishment of themselves economically in Kuwait and providing for the seven children they had. However, they never stopped talking about Palestine and teaching us the story of the land, the people, the exodus, and all the facts and myths about it, which implanted in me a profound love for Palestine and justice. They would talk about their small home in the village of Balaa/Tulkarem with love and shared memory, and they would reminisce consistently about the people and items associated with the house. The jasmine tree that stood in front of the house, the backyard where they would entertain friends, everything was remembered, and every little thing was kept alive in their hearts. My parents were full of criticism of Britain, then a weakened world power, that was terminating its mandate over Palestine, and also of USA, an up and coming world power, that would lend unconditional perpetual support to the newly created state, and how these Western powers allowed the Jewish people, who had suffered the great and unspeakably horrible tragedy during WWII, to inflict a tragedy of disintegration and dispersal on our Palestinian people. That what transpired in Palestine, with the creation of Israel, spelled a deep injustice inside the hearts of my parents. We never really spoke much about it, but maybe it was an unspoken bond which I felt with my parents. As I shifted from one country to another, I developed a host of recipes which I loved, and would recreate over and over again as one way of expressing a deep desire to celebrate my Palestinian identity and to keep it alive in everyday culinary culture. I had a cross-cultural upbringing. Because my birth childhood was spent in another country and not in Palestine, my youth was defined by my migration experience. I created my Palestinian identity without really living in Palestine. I never fully integrated to any particular state; neither did my parents, my siblings, or my Palestinian friends. I always have had to re-negotiate my sense of belonging, ideas of my homeland, and what is for me to becoming a Palestinian. I am always reminded of my identity, who I am and why I am different from the rest. With that knowledge, I insist on my right of returning to my heritage through the food and culinary experience I have had. The story of freekeh is as much a part of this narrative as I am. God bless you, Oh my daughter, I urge you to be righteous to His name, in all your work and home and treat people kindly. Love your job and be kind to people, regardless of their race or religion or way of life. Help people if you can, be sensitive and polite, always practice good manners. Extend your goodness and hospitality to everyone, molding your life with pride, happiness and success; to associate with people, know them, love them no matter where they came from or who they were, and share food, love and beautiful memories with them. When I migrated, I had that important man’s’ words with me to cherishhim with. When I left Palestine, the memories of the food were a vital part of my collective memory left from my homeland, my city and my life as I had known it, a few recipes were all I had from my life till then. Though over time these recipes have been perfected, rephrased and reproduced over and over again, every time I taste one of the things I make, I am transported back to my life as it once was, a time and a place, which I would never get back. These recipes are a memory of my home, my sole self as it was, and my experience of Palestinian identity. Through them, I validate and remember a beloved place. – Rana Abdulla is a Palestinian-Canadian writer and activist, originally from the Palestinian village of Balaa near Tulkarem. She is an advocate for refugee rights, and her work has been highlighted by Canadian media. She contributed this article to PalestineChronicle.com. Israeli cuisine as it is Lebanese. Calling it “stolen” is sheer paranoia. Palestinians down own the rights to this food, neither do a Lebanese or Syrians. Grow up already. Food and cultural identity are intertwined. So called “Isreali Cuisine” is a mere rip-off of traditional Palestinian and or regional Arab cuisine. Since most Israeli’s identity themselves as Jews not Arabs, they also need to acknowledge where the influence of their new cuisine comes from. Think a bit deeper (if at all possible) before passing judgement on an issue that you are obviously completely ignorant about.